Rommie Kearns moved home to live with God, Jesus, and her daddy Joe shortly after high noon on Friday July 31st., after suddenly becoming ill Thursday night. She became the daughter of Michele and the late Joseph Kearns on October 14th, 2002 and was born on August 5th 2002 to her biological parents Sweetwater’s Brigadier and Heidi Hy of Mount Eaton. Rommie was named after a character on the sci-fi TV show Andromeda starring Kevin Sorbo with Lexa Doig playing the role of Rommie, the spaceship’s artificial intelligence brought to life. The title of “Her Royal Highness” was affectionately bestowed upon Rommie by Grandpa B. during one of his and Grandma J. visits, when Rommie was insistent about Grandpa throwing a tennis ball. 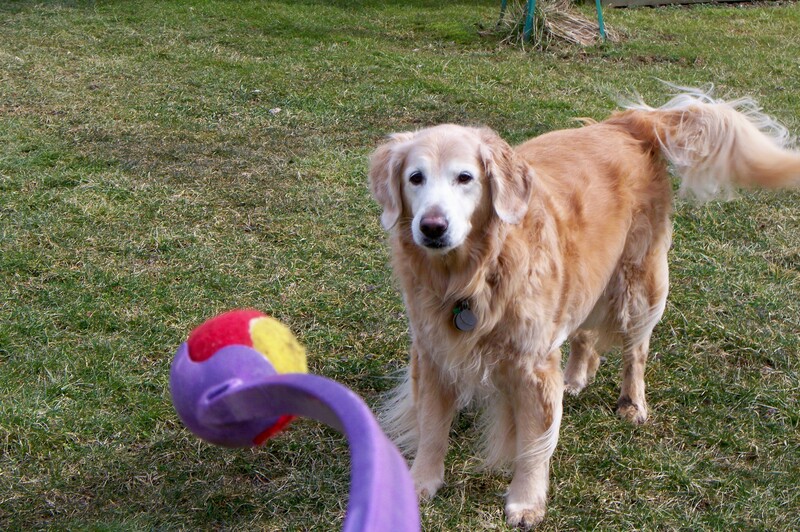 In 2005 Rommie became a foster sister when her parents joined Golden Retrievers In Need. She was foster sister to a minimum of 6 cousins including one who was born with 3 full legs and a short 4th leg. When her 3 legged cousin first arrived at Rommie’s house, she would not get out of the car. Rommie’s Mommy tried to coax her out but she was comfortable sitting in between the front seats. Rommie went outside to assist. She got part way into the car and her and her cousin sniffed each other’s nose. Rommie then got out of the car, walked to the middle of the front yard, turned and faced her Mom’s car and started barking, slow, methodical barks. Her cousin got out of the car. Rommie apparently assured her that she was safe and would have a good home until Mom and other G.R.I.N members would find her a great “furever” family. Rommie and her Mommy fostered until May of 2009, when it became too much for Mom to work and take care of two dogs. 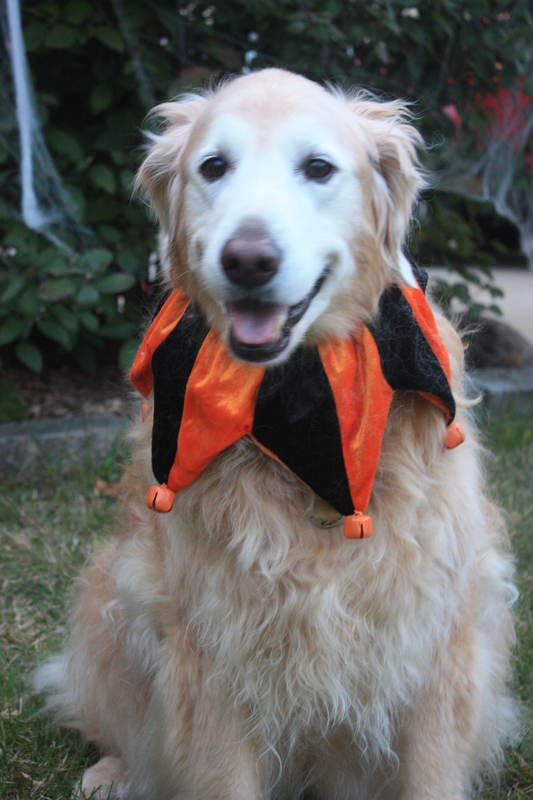 Halloween was Rommie’s favorite holiday because a lot of kids, teens and adults came to see her. She was only about 13 weeks old when she learned that a ringing doorbell meant people! She would come running when her Mom would take out her court jester collar from Rommie’s 2 drawer dresser. Yes, Rommie had her own dresser. Rommie is also survived by her Grandma; an Aunt & cousin on her Mom’s side; 2 Uncles, an Aunt, and 9 cousins on her father’s side; dear friends; her G.R.I.N. family and her BFF (Best Friend Forever) Jewels – a beagle. Besides her daddy Joe, Rommie was preceded in passing by her Grandpa C. (who knew just how to rub her rump), Grandma J. (who turned the toilet bowl brush upside down and played tennis golf with Rommie, when she barged in on Grandma in the bathroom), and Grandpa B. (with whom Rommie loved to play tennis ball tug-o-war). Rommie’s family requests that in lieu of flowers or treats, please help any animal in need. God bless you. A very special thank you to Dr. Adams, Dr. Wehrung, and the staff of VCARoyalton Road Animal Hospital (Now VCA York Road Animal Hospital) for helping me take care of Rommie for almost 13 years, and for the kindness extended to Rommie and me on 7/31. You thoroughly explained the options and gave me the time necessary to discuss the situation with relatives, before I made my decision. A special thank you to Sue for letting me out the back way so I did not have to walk down the hall past the bulletin board with Rommie’s picture on it. God bless each and every one of you. If there is another dog in my life, I will gladly have you treat him or her. A special thank you to our friend A. and neighbor G. who helped me get Rommie into the car and to A. for following me to the vet and staying awhile with me and Rommie. Thank you for being there for us. God bless you both. Finally, a very special thank you to Mom and Joe’s brother for being only a phone call away and discussing the situation with me, which helped me make a very tough decision. I love you both and proud to be related to you. God bless you. 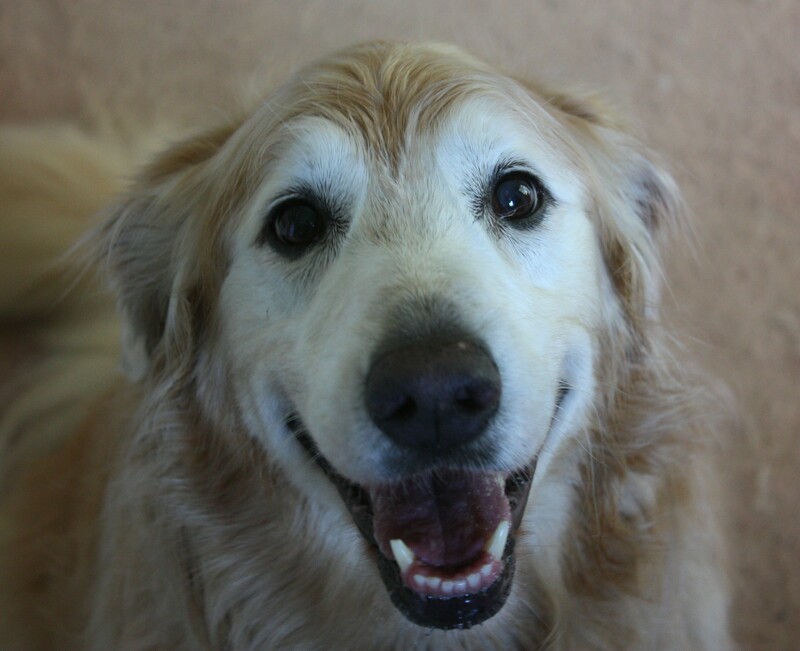 Coming tomorrow – celebrating her 13th birthday with a picture tribute. Tears, Michele, for your sorrow, and tears of laughter and joy, for your once and future – eternal – happiness. Beautiful Tribute to a very Special Girl!